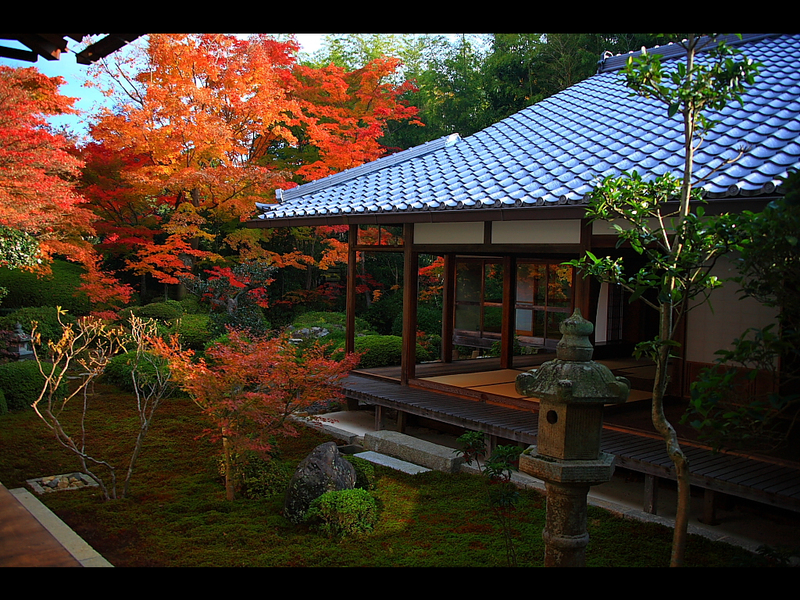 Fall is one of the most beautiful times of the year in Kyoto. These past few weeks have been spectacular. It really makes you want to visit a scenic Buddhist temple and perhaps take photos to immortalize your visit. Thing is, at some temples, you can't. As pointed out on Naver Matome, more and more Buddhist temples have been prohibiting photography. The reason, it seems, is tourists with bad manners. Remember, temples are places of worship, which is something tourists—both Japanese and foreign—can sometimes forget when they're simply trying to snap photos to upload to Flickr, Twitter, Facebook, and Instagram or whatever. Kyoto Hotel Search explains that photography disturbs some visitors who visit temples as part of their pilgrimage. Visitors might want to have some tea and enjoy the peaceful scenery. They do not necessarily want to watch people taking photos, whether that's with a proper camera or even a smartphone. These are places people go to contemplate. But it's more than that: There have also been instances of photographers setting up tripods and blocking the walkways, trampling into gardens, and leaning on walls and pillars that are important cultural assets, just so they could snap a photo. Certainly, some temples (and Shinto shrines, for that matter) continue to allow photography, and yes, there will always be people sneaking pics. If you are visiting Kyoto and wish to take a photo and still be respectful, it's always best to ask first. So, via Naver Matome, here is a list of some temples that have currently banned photography. Keep in mind that this could change at a future date and some of these bans are for specific areas within the temple grounds or are in effect only during certain times of the year. Note: That many of the photos below were taken before the bans. 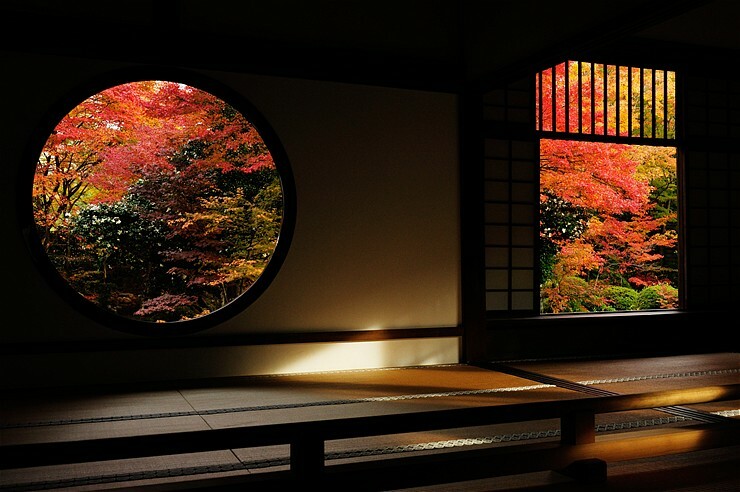 One of Kyoto's most famous Buddhist temples, Genko-an Temple is perhaps most beautiful during autumn, when the red maples can be viewed. The main hall's ceiling has bloody footprints, because the wood was taken from the floorboards of Fushimi Castle, where defeated samurai committed seppuku. The ceiling is a memorial to these men. The main hall also has two windows: the round "Window of Enlightenment" and the square "Window of Confusion." 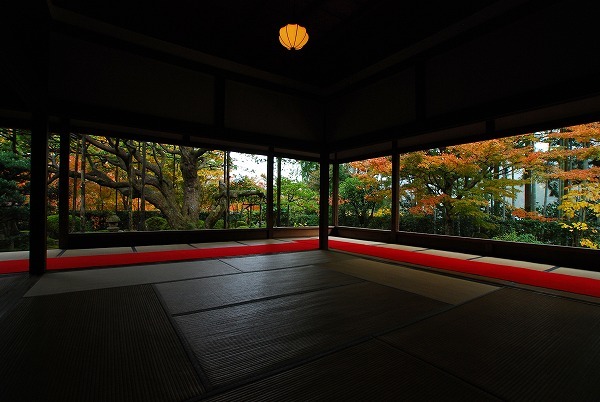 Genko-an Temple embodies Japanese concepts of aesthetics and nature. It seems photography was banned this fall on November 2. 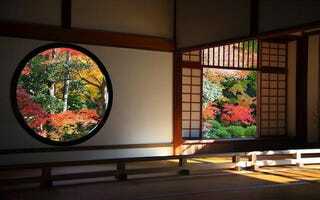 Genko-an Temple is a small temple, and the sound of camera shutters disrupted the tranquil stetting. Since the temple was part of a Kyoto tourism campaign this year, many visitors felt disappointed by the decision. Built in the 13th century, Jissoin Temple's sliding doors and stone garden with one sand make this one an incredibly beautiful place to visit. Since around fall 2004, it's been prohibited to take photos of the fall leaves from inside due to large numbers of photographers that were gathering and setting up tripods, damaging the flooring. However, visitors can apparently take photos outside in the garden. 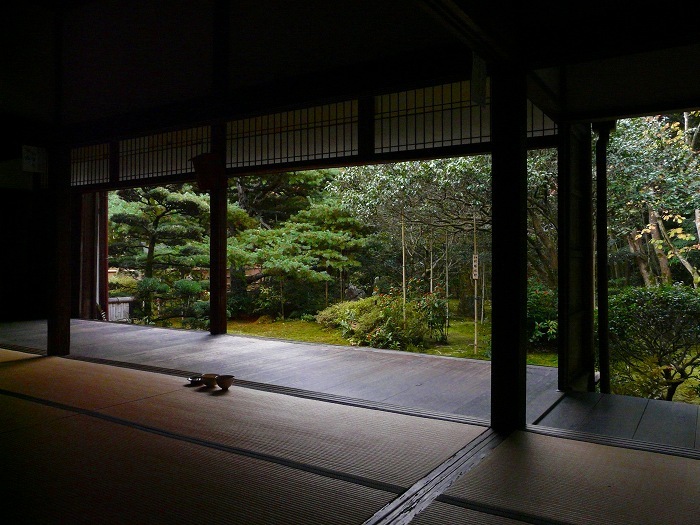 From inside the temple, visitors can drink green tea as they gaze upon an incredible garden. The temple is home to a 700 year-old pine tree! As with Genko-an Temple, the ceiling has some stained floorboards from Fushimi Castle. Photography is not allowed in November, which is peak season for fall in Kyoto, but it might be allowed during other seasons. It's best to confirm if you plan on visiting. A small temple noted for its bamboo forest and stone Buddha statues. Photography became prohibited after visitors trampled through the bamboo and disturbed the statues. A World Heritage site, Daigoji dates from the late 9th century and is home to a five-story pagoda that is the oldest building in Kyoto. The temple complex houses numerous national treasures. Photography was previously prohibited inside, but according to online reports, it is also apparently no longer allowed in the complex's famous garden (below, second photo). Known as the "bamboo temple," Jizo-in is a small, idyllic temple that is surrounded by a bamboo grove. Previously, photography was only banned in the garden, but since visitors could not follow that rule, once again tripods continued to be a problem. Photography, it seems, was banned outright. Founded in the 8th century, the temple houses beautiful—and very old—works of art. Photography has been banned inside the temple due to issues with visitors. However, it is possible to take photos outside. Some temples, like Houkyouin, ban only some kinds of cameras. For example, in front of the temple, there is a sign stating that large and medium-sized cameras are not permitted. Likewise, tripods and camera stands are not allowed. Small cameras, however, are okay. The temple is home to around eight thousand Buddhist statues and is located in an area where people used to abandon the dead. Photography is allowed outside, but during a night ceremony in which thousands of candles are lit, photography is supposedly now prohibited. The reason? Visitors might take "spirit photos" of the deceased.